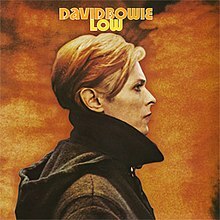 Low is the 11th studio album by English musician David Bowie, released on RCA Records on 14 January 1977. Recorded following Bowie's move to West Berlin after a period of drug addiction and personal instability, Low became the first of three collaborations with musician Brian Eno and producer Tony Visconti, later termed the "Berlin Trilogy". The album was in fact recorded largely in France, and marked a shift in Bowie's musical style toward an electronic and avant-garde approach that would be further explored on subsequent albums "Heroes" (1977) and Lodger (1979). "Sound and Vision" b/w "A New Career in a New Town"
"Be My Wife" b/w "Speed of Life"
"Breaking Glass " b/w "Art Decade"
Though it was initially met with mixed critical reviews, Low has since become widely acclaimed as one of Bowie's best and most influential works. Pitchfork placed it at number 1 in its list of the Top 100 Albums of the 1970s, while Q placed it at number 14 in its list of the 100 Greatest British Albums Ever. In 2013, NME listed the album as the 14th greatest of all time. It was also listed as one of Rolling Stone's 500 greatest albums of all time. The genesis of Low lies in both the foundations laid by Bowie's previous album Station to Station and in the music he recorded for the soundtrack to The Man Who Fell to Earth. When Bowie presented his material for the film to Nicolas Roeg, the director decided that it would not be suitable. Roeg preferred a more folksy sound, although John Phillips (the chosen composer for the soundtrack) described Bowie's contributions as "haunting and beautiful". Elements from these pieces were incorporated into Low instead. The album's cover, like Station to Station, is a still from the movie: the photographic image, under the album's title, formed a deliberate pun on the phrase "low profile". The album's working title was New Music Night and Day. For many years Berlin had appealed to me as a sort of sanctuary-like situation. It was one of the few cities where I could move around in virtual anonymity. I was going broke; it was cheap to live. For some reason, Berliners just didn't care. Well, not about an English rock singer, anyway. While sharing an apartment with Pop, Bowie became interested in the German music scene, including the acts Tangerine Dream, Kraftwerk and Neu!. 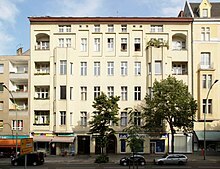 Before moving to the apartment on Hauptstraße, Pop and Bowie stayed with Edgar Froese of Tangerine Dream and his family at their home in Schöneberg. Froese also helped Bowie with his recovery and introduced him to the Berlin underground scene. Bowie named Froese's solo album Epsilon in Malaysian Pale as a big influence and a soundtrack to his life in Berlin. During the months of his recovery, he also became interested in Brian Eno's minimalist album Discreet Music (1975), eventually meeting with Eno in 1976 and soon after beginning collaborations with Eno, producer Tony Visconti, and Pop. In 1976, Bowie also cowrote and produced Pop's solo album debut The Idiot (1977). At the forefront of Low's sound was Visconti's recent acquisition: an Eventide H910 Harmonizer. When Bowie asked what it did, Visconti replied, "it fucks with the fabric of time." The album was co-produced by Bowie and Tony Visconti, with contributions from Brian Eno. As a recovering cocaine addict, Bowie's songwriting on Low dealt with difficult issues: "There's oodles of pain in the Low album. That was my first attempt to kick cocaine, so that was an awful lot of pain. And I moved to Berlin to do it. I moved out of the coke centre of the world [i.e. Los Angeles, where Station to Station was recorded] into the smack centre of the world. Thankfully, I didn't have a feeling for smack, so it wasn't a threat". Visconti contended that the title was partly a reference to Bowie's "low" moods during the album's writing and recording. Low features Bowie's first explorations of electronic and ambient music. Side one of the album contained short, direct avant-pop song-fragments; side two comprised longer, mostly instrumental tracks. On these tracks help was lent by ex-Roxy Music keyboardist and conceptualist Eno, who brought along his EMS "suitcase" AKS synthesiser (Bowie was later given this particular synthesiser as a birthday present after a friend obtained it in an auction). Often incorrectly given credit as Low's producer, Eno was responsible for a good deal of the direction and composition of the second side of the album and wrote the theme and instrumentation for "Warszawa" while Bowie was in Paris attending court hearings against his former manager. Eno in turn was helped by producer Tony Visconti's four-year-old son who sat next to Eno playing A, B, C in a constant loop at the studio piano. This phrase became the "Warszawa" theme. On Bowie's return Eno played him the work. Impressed, Bowie then composed the vaguely Eastern European-sounding lyrics. According to French music journalist Matthieu Thibault, the onomatopoeic choral chants have no precise meaning and were composed instead in the service of atmosphere, delivered in three different voices and overdubbed atop one another. Although the music was influenced by German bands such as Tangerine Dream, Kraftwerk and Neu!,  Low has been acclaimed for its originality and is considered ahead of its time, not least for its cavernous treated drum sound created by producer Visconti using an Eventide Harmonizer. On the release of Low, Visconti received phone calls from other producers asking how he had made this unique sound, but would not give up the information, instead asking each producer how they thought it had been done. In 2004, Bjorn Randolph of Stylus Magazine said that "had the album been released twenty years later, this would have been called 'post-rock.'" RCA executives, upon hearing Low, wrote Bowie a letter rejecting the album and urging him to make an album more like Young Americans. Bowie kept the rejection letter on his wall at home. Critical reaction to Low at the time of its release was relatively divided. Rolling Stone magazine's John Milward stated that "Bowie lacks the self-assured humour to pull off his avant-garde aspirations" and found the album's second side weaker than its first, stating: "Side one, where Bowie works within more conventional rock trappings, is superior to side two's experiments simply because a band forces discipline into Bowie's writing and performance." In The Village Voice, Robert Christgau found side one's seven "fragments" to be "almost as powerful as the 'overlong' tracks on Station to Station", but described "the movie music on side two" as banal (though he later revised his opinion on the second side after the release of Heroes, writing that Low "now seems quite pop, slick and to the point even when the point is background noise"). Christgau included it at number 26 on his "dean's list" of the year's best albums for the 1977 Pazz & Jop critics poll. Los Angeles Times critic Robert Hilburn shared a similar sentiment and stated "For 12 minutes, this is Bowie's most striking and satisfying album since Ziggy. But the remaining 26 minutes, including all of Side 2, deal with a spacy art rock style that is simply beyond mass pop sensibilities for it to build much enthusiasm." By contrast, NME found Low "stunningly beautiful [...] the sound of Sinatra reproduced by Martian computers". Billboard called the album's second side "the most adventurous and a stark contrast to the few distorted hard rock cuts on side one" and wrote that Low "emphasizes Bowie's serious writing efforts which only time can tell will appeal to the people who have watched him go through various musical phases." John Rockwell of The New York Times wrote that "There are hardly any vocals, and what there are mostly mindless doggerel heard from afar. And the instrumentals are strange and spacey. Nevertheless, the whole thing strikes this listener as remarkably, alluringly beautiful." Rockwell described its sound as "a strange crossbreed of Roxy Music, Eno's own solo albums, Talking Heads and an Indonesian gamelan. Yet it still is recognizably a David Bowie album", and concluded that "once Mr. Bowie's fans overcome their initial shock at his latest change in direction, they may realize that he's made one of the finest disks of his career." Low was a commercial success, peaking at number 2 on the UK Albums Chart and number 11 on the US Billboard Pop Albums chart. "Sound and Vision" and "Be My Wife" were released as singles; the former reached number 3 on the UK Singles Chart. Low appears on a number of critics' "best album" lists. Pitchfork placed it at number 1 on the website's "Top 100 Albums of the 1970s". In 2000 Q placed Low at number 14 in its list of the 100 Greatest British Albums Ever. In 2013, NME listed the album as the 14th greatest of all time. In 2003, the album was ranked number 249 on Rolling Stone magazine's list of The 500 Greatest Albums of All Time. In a retrospective review, The Rolling Stone Album Guide states "it's the music of an overstimulated mind in an exhausted body [...] sashays through some serious emotional wreckage." Philip Glass based his 1992 classical composition Low Symphony on Low, with Bowie and Eno both influencing the work. Low has also been regarded by music analysts as being a crucial influence on the post-rock genre, which would come to prominence among underground musicians nearly two decades after the album's release. In particular, a 2004 article from Stylus Magazine notes that Low would have been considered post-rock had it been released twenty years later. All lyrics written by David Bowie; all music composed by Bowie, except where noted. Sides one and two were combined as tracks 1–11 on CD reissues. The album was first released on CD by RCA Records in the mid-1980s. A 1991 CD release by Rykodisc contained three bonus tracks. The 1991 edition was released in the U.K. on CD, Cassette and LP by EMI Records, and was subsequently rereleased on AU20 Gold CD. A 1999 CD release by EMI, without bonus tracks, featured 24-bit digitally remastered sound. In 2017, the album was remastered for Parlophone's A New Career in a New Town (1977–1982) box set. It was released in CD, vinyl, and digital formats, as part of this compilation and then separately the following year. Based on the album credits. Track numbers refer to CD and digital releases of the album. ^ a b Hilburn, Robert (16 January 1977). "Platinum From Queen, Icy Steel From Bowie". Los Angeles Times. Retrieved 11 April 2019 – via newspapers.com. ^ a b c Gallucci, Michael (14 January 2017). "40 Years Ago: David Bowie Cleans Up and Branches Out on 'Low' Read More: 40 Years Ago: David Bowie Cleans Up and Branches Out on 'Low'". ^ a b c Erlewine, Stephen Thomas. "Low – David Bowie". AllMusic. Retrieved 10 July 2008. ^ a b Lukowski, Andrzej. "Album Review: Low: Live in Chicago". Drowned in Sound. Retrieved 29 March 2016. ^ BLACKARD, CAP, WREN GRAVES AND ERIN MANNING. "A Beginner's Guide to David Bowie". Consequence of Sound. Retrieved 29 March 2016. ^ a b "Pitchfork Feature: Top 100 Albums of the 1970s". Retrieved 3 February 2012. ^ a b "Q – End of Year Lists". Retrieved 30 April 2007. ^ a b "The 500 Greatest Albums of all Time: 100-1". NME. Retrieved 5 April 2016. ^ a b "The RS 500 Greatest Albums of All Time". Rolling Stone. Retrieved 30 April 2007. ^ Mastropolo, Frank (11 January 2016). "The History of David Bowie's Berlin Trilogy: 'Low,' 'Heroes' and 'Lodger'". Ultimate Classic Rock. ^ Wilcken, Hugo (2005). Low. New York: Continuum. p. 24. ISBN 0-8264-1684-5. ^ "Bowie's UNCUT interview on Low". BowieGoldenYears.com. ^ "Uncut Interviews David Bowie & Tony Visconti on Berlin". Uncut. March 2001. ^ "Bowie's Berlin: the city that shaped a 1970s masterpiece". History Extra. Retrieved 20 September 2018. ^ Seabrook, Thomas Jerome (2008). Bowie in Berlin: A New Career in a New Town. Jawbone Press. ISBN 1-906002-08-8. ^ "Eno: I would set up sonic scenarios for David Bowie". BBC News. Retrieved 16 June 2016. ^ Sandford 1997, p. 149. ^ Needs, Kris (January 2007). "The Passenger". Mojo Classic (60 Years of Bowie): 65. ^ Quantick, David (20 June 2012). "David Bowie: 1977, back from the abyss and changing music forever..." Team Rock. ^ James E. Perone. The words and music of David Bowie. Greenwood Publishing Group, 2007. p. 60. Retrieved 18 February 2011. ^ BowieGoldenYears. Retrieved 12 June 2007. ^ Doyle, William (10 January 2017). "40 Years On: David Bowie's Low Revisited". The Quietus. Retrieved 21 January 2017. ^ Thibault, Matthieu (2011). "Chapitre 11 – Analyse musicale: Warszawa". La Trilogie Bowie–Eno: Influence de L'Allemagne et de Brian Eno sur les Albums de David Bowie entre 1976 et 1979. Camion Blanc. ISBN 2357795085. ^ "Top Ten Albums on Which the Sequencing Is Lost on CD – Staff Top 10". Stylus Magazine. ^ Ives, Brian (20 February 2017). "David Bowie: A Look Back at His '90s Era – When He Got Weird Again". Retrieved 27 March 2018. ^ "David Bowie: Low". Blender (47). May 2006. Archived from the original on 22 August 2007. Retrieved 14 July 2016. ^ Fadele, Dele (11 September 2000). "David Bowie – Station To Station/Low/Heroes/Stage". NME. Archived from the original on 17 August 2000. Retrieved 14 July 2016. ^ Snapes, Laura (22 January 2015). "David Bowie: Low". Pitchfork. Retrieved 22 January 2015. ^ Sheffield, Rob (5 November 2001). "Low". Rolling Stone. Retrieved 9 October 2010. ^ Dolan, Jon (July 2006). "How to Buy: David Bowie". Spin. 22 (7): 84. Retrieved 14 July 2016. ^ a b Christgau, Robert (14 February 1977). "Christgau's Consumer Guide". The Village Voice. Retrieved 9 October 2010. ^ Milward, John (21 April 1977). "Review: Low". Rolling Stone. Archived from the original on 4 December 2010. Retrieved 9 October 2010. ^ "Robert Christgau: Album: David Bowie: "Heroes"". Retrieved 12 August 2016. ^ Christgau, Robert (29 January 1978). "Pazz & Joppers Dig Pistols—What Else Is New?". The Village Voice. Retrieved 11 February 2017. ^ a b Rockwell, John (14 January 1977). Review: Low. The New York Times. Retrieved 9 October 2010. ^ "sound and vision". UK Singles Chart. Retrieved 1 August 2017. ^ R.S. (2 November 2004). "Review: Low". The Rolling Stone Album Guide: 97–98. ^ "Philip Glass: Music: "Low" Symphony". philipglass.com. Archived from the original on 20 May 2011. Retrieved 18 February 2011. ^ "Top Ten Albums on Which the Sequencing Is Lost on CD - Staff Top 10". Stylus Magazine. Retrieved 28 September 2017. ^ "A NEW CAREER IN A NEW TOWN (1977–1982) – David Bowie Latest News". DavidBowie.com. 12 July 2016. Retrieved 21 February 2018. ^ Roger Griffin (2016). David Bowie: The Golden Years. Omnibus Press. p. 388. There was a ballad instrumental by David that appears on Low ('Subterraneans'). It was performed by David, me [Paul Buckmaster] and J Peter Robinson on various keyboards. ^ "David Bowie – Low – austriancharts.at" (ASP). Retrieved 31 January 2014. ^ "Top Albums/CDs – Volume 27, No. 1" (PHP). RPM. 2 April 1977. Retrieved 31 January 2014. ^ "dutchcharts.nl David Bowie – Low" (ASP). dutchcharts.nl. MegaCharts. Retrieved 31 January 2014. ^ "charts.org.nz David Bowie – Low" (ASP). Recording Industry Association of New Zealand. Retrieved 31 January 2014. ^ "norwegiancharts.com David Bowie – Low" (ASP). Retrieved 31 January 2014. ^ "swedishcharts.com David Bowie – Low" (ASP). Sverigetopplistan. Retrieved 31 January 2014. ^ "AllMusic ((( Low > Charts & Awards > Billboard Albums )))". AllMusic. Retrieved 20 May 2013. ^ "Canadian album certifications – David Bowie – Low". Music Canada. Retrieved 31 January 2014. ^ "British album certifications – David Bowie – Low". British Phonographic Industry. Retrieved 31 January 2014. Select albums in the Format field. Select Gold in the Certification field. Type Low in the "Search BPI Awards" field and then press Enter. ^ "Official Albums Chart Top 100 | Official Charts Company". www.officialcharts.com. Retrieved 6 March 2018. ^ "Official Vinyl Albums Chart Top 40 | Official Charts Company". www.officialcharts.com. Retrieved 6 March 2018. ^ "Official Albums Sales Chart Top 100 | Official Charts Company". www.officialcharts.com. Retrieved 6 March 2018. ^ "Official Scottish Albums Chart Top 100 | Official Charts Company". www.officialcharts.com. Retrieved 6 March 2018. ^ "IFPI Charts". www.ifpi.gr. Retrieved 18 March 2018. Hugo Wilcken, David Bowie's Low (A&C Black, 19 Aug 2005).